Recorded (like Vol. II) January 12,13 & 14, 1983, Twickenham Film Studios, London. This album and its eventual successor (Vol 2; they were later combined into a single 2-disc release, though the first disc is not just Vol 1 and the second disc is not just Vol 2) have one of the weirdest histories of any Zappa release. In early 1983, Frank decided to take some of his classical compositions (some new, some that had been recorded already on Orchestral Favorites) and give them to the London Symphony Orchestra, figuring he'd get some good recordings out of them. Instead Frank had an experience that helped eventually drive him away from using real orchestras for his classical pieces for almost a decade. Supposedly, there were all sorts of issues that resulted from the various performers not initially realizing they'd be playing fairly sophisticated material and not wanting to put in the necessary extra time to get recording- quality takes, which obviously kinda cheesed Frank off. Frank himself criticized these recordings quite a bit over the years, so this makes me feel a little better about the fact that I don't get a lot out of this album. I'm guessing, though, that the reasons I don't like this album aren't the same as the reasons Frank didn't like it. It's not that I dislike classical in general, and it's not that I have a particular dislike of 20th-century classical; my favorite composer continues to be Stravinsky (from whom Frank draws heavy inspiration), and my favorite classical piece has long been The Rite of Spring. The problem I have, which I fully admit could be because I don't have as much knowledge of classical as I do of rock, is that I'm not sure what should distinguish these pieces, for better, from other modern classical pieces. "Pedro's Dowry" is basically the same piece that bored me on Orchestral Favorites, only slightly longer, so that doesn't help much. "Envelopes" is novel because it was originally a non-orchestral 'normal' instrumental, but if I didn't feel thrilled about it on Ship Arriving, why should I care about it here? I do admit that "Sad Jane" has quite a few effectively dramatic stretches, but "Mo'Nerb's Vacation" just sounds like average movie orchestral soundtrack music stretched out over 20 minutes, so what's the point? I mean, I don't hate listening to this album, but I just don't see why I would ever have any need to listen to this album if it didn't have the Frank Zappa name on it. 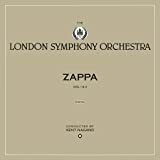 Given the choice between Zappa the clever "lowbrow" musician and Zappa the largely average "highbrow" composer, I could never ever choose the latter, which is why this can't get a good grade despite few overtly terrible moments. For completists only. 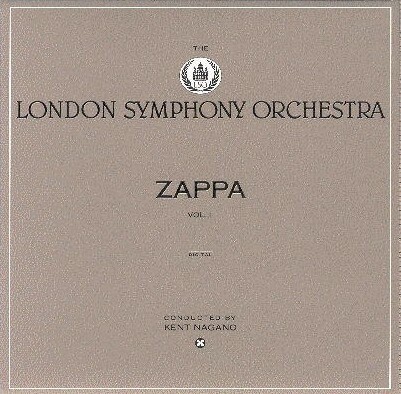 This was the first of Frank Zappa's "serious" orchestral albums. The album consists of three pieces. 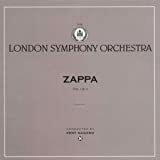 The first two, Sad Jane, and the three movement Mo 'n Herb's Vacation highlight Zappa fascination with a few twentieth century classical composers, particularly Igor Stavinsky and Edgard Varèse. The third piece is Bogus Pomp, in this case a more developed version of some of the orcestral music from "200 Motels". 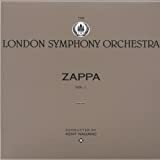 The music is pretty good for avant-garde classical, although the rocording is plagued with inconsistant miking (some instrument sections sound quite far away), and at times (and Zappa had complained about this), the musicians just didn't take the music seriously enough. The best part are the percussion sections. Zappa brough along Chad Wackerman and Ed Mann from his band, and they provide some excitement to the album. As such, the album is not prog rock at all, but still gets three stars from me. 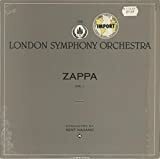 Post a review of FRANK ZAPPA "London Symphony Orchestra Vol. I"